Hamster Club :: Hamster Club NEW Newsletter! 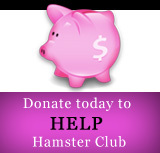 Our latest newsletter incorporates the most important information about our hamster club! The newsletter includes hamster information about how one should take care of his / her hamster's teeth, what one should do if his / her hamster's teeth break. Another article includes information about what one needs to do to exhibit his / her hamster. The fabulous news about Hamster Club's 2nd birthday, articles about roborovski hamsters, hamster book and our discounted hamster shop!! 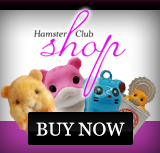 Check Hamster-Club.com newsletter now by clicking here! !